Even as the debate rages on whether Kannada should be the medium of instruction in schools in Karnataka, the state gets ready to observe the birth centenary of the man who mooted the idea. STOI remembers Vinayak Krishna Gokak — legendary scholar, writer, teacher, and institution builder. The occasion will be celebrated in Bangalore on Aug. 3 and 4 as well as in Dharwad on Aug. 9 and 10. In his famous report, Gokak advocated primacy to Kannada in education and administration. But, he was also a Jnanpith Award winner, distinguished academician and inspiring teacher. He studied the status of other Indian languages in states where they were spoken. “However, the report is not just about implementing Kannada in Karnataka. Gokak felt that all Indian languages should get primacy in their states,” says his student and Hindi poet Siddalinga Pattanashetty. Gokak was born in Savanur village, and climbed his way up through hard work. In 1938, he became the first non-white pupil to top Oxford University in its 340-year-old history. Gokak changed the course of Kannada literature by batting for modernism as early as 1940. He won the Jnanpith Award for the modern epic Bharata Sindhu Rashmi. He was among the few modern Indian academicians who produced creative literature in more than one language. He wrote poetry in Kannada and English and spoke with authority on literature in Marathi, Gujarati and Sanskrit. “As a writer and translator, he introduced Indian values and culture to the West. As head of academic institutions, he implemented the best practices from around the world into Indian education,” recalls his student and writer Chandrashekar Patil. His teaching is the stuff of legend. His student Surendranath Minajigi recalls in his book on Gokak: “He was a creative influence, a cult figure on campus and students imitated him.” He was so popular in Pune that students from other colleges attended his classes. He was the founding spirit behind several prestigious institutions like the Central Institute of English in Hyderabad and the M N College in Gujarat. CIE was to set the template for teaching and research in English in India. He introduced value-based education in the Satya Sai Institute of Higher Learning, as its vice-chancellor. The Gokak agitation, demanding primacy to Kannada in Karnataka, was the first high-voltage pro-Kannada agitation after the one demanding unification of Karnataka in the 1950s. 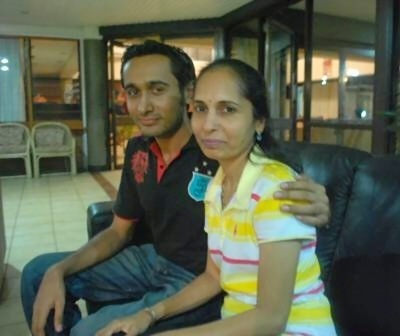 It started with the R Gundu Rao government failing to implement his report. The Rao government formed the Gokak committee in 1980, after being criticized for its policy of regarding Sanskrit as the first language in schools. Gokak submitted his report in 1981 and recommended that Kannada be taught as the first language in schools. An agitation broke out when the government did not seem enthusiastic about implementing it. Though writers and Kannada activists started the agitation, it became hugely popular and glamorous when film stars led by Rajkumar joined it. The Kannada film industry struck work and stars led rallies across the state. Dr. Vinayaka Krishna Gokak (the first vice chancellor of Sathya Sai Baba’s university The Sathya Sai Institute of Higher Learning) related how one day he asked Sathya Sai Baba to come to his house for a meal. Sathya Sai Baba readily accepted. Dr. Gokak was excited, cleaned his house, and waited for Sathya Sai Baba to come. Days and weeks passed. A year went by, Dr. Gokak began to think that Satya Sai Baba had forgotten. Then one day, while sitting in front of altar, he noticed that the most prominent pictures were of a guru he had in the past and still had a fondness towards the pictures. Off to the side and hanging on the wall was a small picture of Sathya Sai Baba. “This is not right,” thought Dr. Gokak. When Baba visited Dr. Gokak’s home, he saw on the wall for the first time a portrait of an Indian saint, Shri Panta Maharaja of Balekundri, and asked about its presence there. Sathya Sai Baba waved his hand, for a little longer than usual, remarking, “He is coming.” Turning the palm up, he handed the doctor a small enamel pendant. It bore a miniature replica of the saint’s portrait. At another time, Dr. Gokak was to address a large gathering of Sai Devotees in the USA. Orator that he was, the crowd was expecting a heavy downpour of his resonant voice in meaningful words, but nothing came out for a minute or two. Dr Gokak could not believe such a situation he was in for the first time in his life. Suddenly he remembered Swami and mentally prayed to Him. And to his great surprise he found Swami sitting in the front row with smiling benediction. And then there was a torrential flow from the Professor providing a treat to the audience. 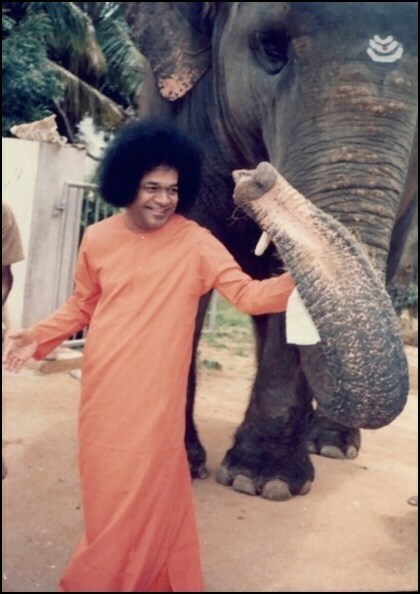 Got A Minute To Spare To Listen About Sathya Sai Baba? Loving Sai Ram, and greetings from Prasanthi Nilayam. I want to oppose the idea that school has to teach directly that special knowledge and those accomplishments, which man has to use later directly in life. The demands of life are much too manifold to let a specialized training in school appear possible. Apart from that, it seems to me, moreover, objectionable to treat the individual like a dead tool. The school always has as its aim that the young man leaves it as a harmonious personality not as a specialist…. It is not enough to teach a man a speciality. Through it, he may become a kind of useful machine, but not a harmoniously developed personality. It is essential that the student acquire an understanding of and a lively feeling for values. He must acquire a vivid sense of the beautiful and of the morally good. Otherwise, he with his specialized knowledge more closely resembles a well-trained dog than a harmoniously developed person. Is that education, which slowly makes a man into a machine? It is more blessed in my opinion, even to go wrong impelled by one’s free will and intelligence than to be good as an automaton. ….The education that does not help the common mass of people to equip themselves for the struggle for life, which does not bring about strength of character, a spirit of philanthropy, and courage of a lion – is it worth the name? Our concept of education must have a soul. It must form a unity. It must take note of the child as a whole, as heart as well as mind. Unless we train the feelings and the choice, man is not educated. He is only decked out in certain intellectual tricks that he has learnt to perform. By those tricks, he can earn bread. He cannot appeal to the heart, or give life. He is not a man at all; he is a clever ape. Learning in order to be clever or learning in order to earn a livelihood – not in order to become a man to develop one’s own manhood and manliness – means running into danger. Therefore, in every piece of information imparted to a child, we must convey an appeal to the heart. … There is one way and one way only. It is, throughout the early years of education, to remember that there is nothing so important as feelings. To feel nobly, and to choose loftily and honestly, is a thousand-fold more important to the development of faculty than any other single aspect of the educational process. Three different quotes from three different people, but echoing very similar sentiments. We presume you must be familiar with the first two names. The third one might not be so familiar; it is the name of an English lady who came nearly a hundred years ago to India in search of spiritual enlightenment, discovered Swami Vivekananda, and settled down to become his disciple, adopting the name Nivedita. Her example recalls the names of two others, namely, Annie Besant whose name would for ever would be associated with the Theosophy movement in India and Mira Ben who became an ardent follower of Gandhi. – Education should not, in the name of producing specialists, convert humans into skilled robots. – Education must have a SOUL, meaning it must awaken noble feelings latent in the Heart. – Education must have a moral base and fill one with moral courage to face the moral and ethical challenges of the world. – And finally, education must train one for life rather than merely for filling the belly. It does not take much imagination to realise that these are the very principles that Swami talks about it, and form the basis of education in His Schools and Colleges. The question arises: “Why did Sathya Sai Baba set up His Schools and Colleges?” Mainly to act as exemplars to a Society that has lost its way. Just look around; there are tens of thousands of colleges and hundreds of universities the world over, all supposed to produce educated men and women. If indeed students are really getting educated in these educational establishments, as everyone believes they are, then how come the world is so full of problems today, indeed more problems than ever before? In fact, it would appear that today’s Society is better at creating problems than in solving them! So what has happened to these various educational establishments, including those with famous brand names? Where have they all slipped? That is not difficult to determine, if we use the guidelines of the quotes above, which, by the way, is only a small selection of invaluable quotes available on education. From the Greek philosophers to Lincoln to Gandhi, all great men stressed the importance of moral values; and for centuries, some attempt was made to adhere to them as well as to structure education around moral and ethical values. It is only in the half century that followed the Second World War, that values have been withdrawn, rather like pulling the rug under one’s feet. Following which, the inevitable has happened everywhere without exception – politics without principles, business without scruples and all the rest of it; we all know the list, don’t we? Swami has quoted them so many times. Is there any particular reason why we are harping on this particular theme this Sunday? There sure is, a chain of connected links in fact. First, there was a nasty article directed entirely against Swami in the Hindustan Times, published from Delhi. Quickly came after that a one-hour TV talk show on NDTV, against so-called God-men, and inevitably, there was a lot of mud slinging against Swami. Apparently, the Guardian in the UK also had something but we have not seen that. Anyway, we shall deal with all this anti-Swami stuff elsewhere, but here we would like to look deeper and ask ourselves why Society has become so sick as to see negativity all the time, often unfounded? There are of course superficial reasons as well as deeper causes, and may be we should comment on both. Superficially, things have changed enormously since World War II, thanks to three factors. 1) Technology, 2) enormous growth in transport and communications, including TV, Internet, etc., and 3) the engine of economic growth becoming supercharged with, shall we say, hyper-activity! The net result of all this is the quest to dominate the mind. In the colonial era, those with money wanted to dominate the land so that they could have easy access to commodities and markets. Later, it was the quest for market, or market dominance, without the expenditure of maintaining armies, that colonialism involved. Now it is mind-dominance, because once the mind is dominated, humans can be manipulated in any way the powerbrokers want. These are complex matters and maybe we shall comment on them in detail elsewhere, but the bottom line is that everyone is in a tearing hurry in pursuit of their own particular objectives. Those who “inform” wish to do it all very quickly while those “who want to be informed” also want it all very quickly. We see it here all the time working for Radio Sai and H2H. Our boys here work so hard round the clock but most people simply do not have the time to read or listen to what we offer via H2H and via Radio Sai. Most devotees stir into action only when there is a blast of negativity in the outside media. What we are trying to say is that since everyone seems to want everything in a hurry, the media obliges by having instant opinions and instant commentators. These days, wars, whether they are fought in Afghanistan or Iraq or whatever, are played out in front of TV cameras. Everything from protests to soccer matches to war and insurgency has become subjects for TV shows, talk shows and so on. Is it any wonder that “instant experts” appear everywhere airing opinions left and right without bothering to check whether they are accurate or not? News now means negativity, sting operations and so on. Good works and good news are “boring” and not “newsworthy”. That is the mantra circulated everywhere, and is it any wonder that those who want bang for their bucks as they say, dare to project even falsehood as news, as long as they do a sort of “balancing act” making it appear that they have given “equal” time? If you think about it deeply, all this is because we have all been brought up bereft of values. Our schools have let us down and that is because Society simply did not think that moral base is important in education. When values are drained away, understanding disappears; when understanding becomes scarce, conflict arises; when conflict erupts, there is pain and even destruction. This is a huge topic, and we simply cannot do justice to it here. But this much we can and will say. If there is one educational institution that has steadfastly stood for and helped students to absorb values and practice them in the modern world, it Swami’s Institute . That is Swami’s greatest gift to humanity, an Institute that helps students to really understand what morality and human values are all about and how higher learning is related to all that. So what does higher learning, morality etc., have to do with negative reporting that is appearing to drown out the good work being done by Sathya Sai Baba’s institutions? Simply the following. We must, all of us together but each in our own way, help the Divine Light to reach far and wide. Divine Light cannot be extinguished; however, it can be covered and eclipsed. And we have it in our power to remove that cover. How? Well, if our readers, old students and the like would only take a few minutes off now and then and share with us, good news they have access to, we can spread it far and wide. The world today is actually very hungry for good news. We know it because of the mail we receive. But the sad point is that good news is not easily accessible. That is because the traditional news agencies do not regard good news as news at all. If however, Sai devotees, share with us what they know, instances where people have come out better by adhering to Dharma, then when others read it, it would give them some courage. We need to hold each other’s hands. There are so many things we can do and do so easily. However, at present we do not; that must change, and when that change occurs, there would be fewer and fewer takers for non-news, bad news and wrong news. For example, strange as it may sound, not many people in Chennai/Madras are aware how much Swami has done to bring water to that troubled city. If people only took time off to do some serious reading, then would they have such questions? These days, people seem to want Vedanta in five minutes, and the Gita in just two! If that is all the time we can give to God, then why should we expect God to keep on bothering about us? They ask about God hiding Himself during the tsunami. Who gave land that we so readily pollute? Who gave water that we so readily pollute? Who is killing millions in genocide, God or man? So what are the self-appointed bleeding hearts doing about it? If some people sling mud at Swami, it is in part because of the corrupted value system of today, which reflects on the tragic erosion of values, in all segments of Society. We may be feel hurt; that is but natural. However, we should not let our feelings run away too much. If criticism comes from the riff-raff, and let us remember that many who try to tarnish Swami do belong to that category, we should not engage in a direct confrontation with them. That said, it does not mean we should always remain silent. There are occasions when one has to exert for the sake of Dharma. That was Krishna’s lesson given to Arjuna. Depending on the circumstances, we must make our judgement and react as fitting and appropriate. We did that from here when we dealt with the UNESCO; that story has been told elsewhere. Similarly, on this occasion, there have been some well composed, dignified and strong response from a few devotees, especially one of Swami’s students; more about this later in H2H. Meanwhile, devotees must try and spend more time trying to absorb Swami’s teachings as well as details of the amazing missions He has executed. It is not enough to have some vague feeling about the Hospitals for example. We must be aware of the moving details so that stench can be rebutted by the fragrance of details about selfless service. There is much more to be said on this and related themes. For the moment, please do reflect deeply on the extra-ordinary achievements of Swami’s University, and its moral authority. This year, the Institute held its 25th Convocation, and as always, it was held on 22nd November. This might appear like a routine procedure, but if you look at the record of the three hundred and odd universities in India, including those who can trace their history as far back as 150 years, there is not a single university that can boast of such regularity. Even if the Guest of Honour is the President or the Prime Minister or whatever, our Convocation has always been held on 22nd November. May seem like a small thing but compare it with the record of others and you would know what we are talking about. Is the world aware of it? You think this is a small achievement? Well, do you know that right now, a major University in UP, the land of birth of Rama and Krishna, is facing problems because the Vice Chancellor has suspended nearly a hundred students from contesting student elections? And you know why? Because all these students have criminal complaints against them, including murder, yes murder! A university with students on its rolls who have murder complaints registered against them? Amazing but true! Is it any wonder we have invited your attention to the meaning and purpose of Education? Who in this wide world has done for so long and so consistently what Swami has done and is still doing? Why is the world silent about it? Why are we devotees so ignorant about it?